Our heated indoor pool offers six 25-meter olympic length lanes for lap swimming and is open to lap swimmers year round. Access to the pool is included with a membership to the Katz JCC or by purchasing a Guest Day Pass. Not a member? Visit our membership page to see how easy it is to join the Katz JCC. The Katz JCC Swim Program offers one of the highest levels of instruction in the area in both our indoor and outdoor heated pools. All instructors are certified lifeguards with CPR/AED and First Aid training. Our goal at the Katz JCC is to improve swimmers’ water safety, while being comfortable, gaining confidence, and having fun in a safe age-appropriate skill-centric approach. 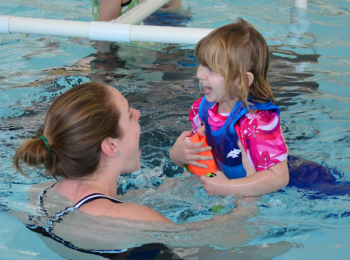 All swim lessons are offered in either a six-week or eight-week session with one lesson per week, and are open to Members and Non-Members of the Katz JCC. The JCC Margate Sharks swim team has members ages 5-18 years old competing in both dual meets and USA Swim meets during the season. 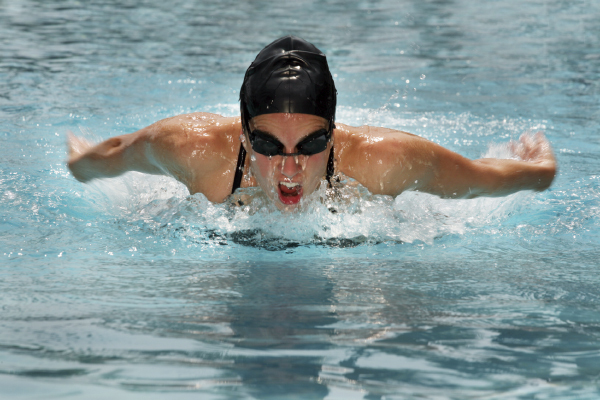 For more information about our Aquatics Center, please contact Alicia Fimple, Aquatics Director at 609-822-1167 Ext. 133 or afimple@jccatlantic.org. The Israel & World Events Coffee Klatch is a fun, casual, social group that includes coffee, delicious refreshments and great conversation about Israel/U.S. news and world events. Schmooze, kvetch, kvell and enjoy conversation with new and old friends. Dinner & Movie includes a movie on the big screen and a full course meal with a kosher meat main course, salad, soup and dessert. Kosher laws will be observed. Call the Milton & Betty Katz JCC at 609-822-1167 or Click Here email us. The Milton and Betty Katz Jewish Community Center of Atlantic County is a 501 c 3. Sign up and receive monthly newsletters and special offers.